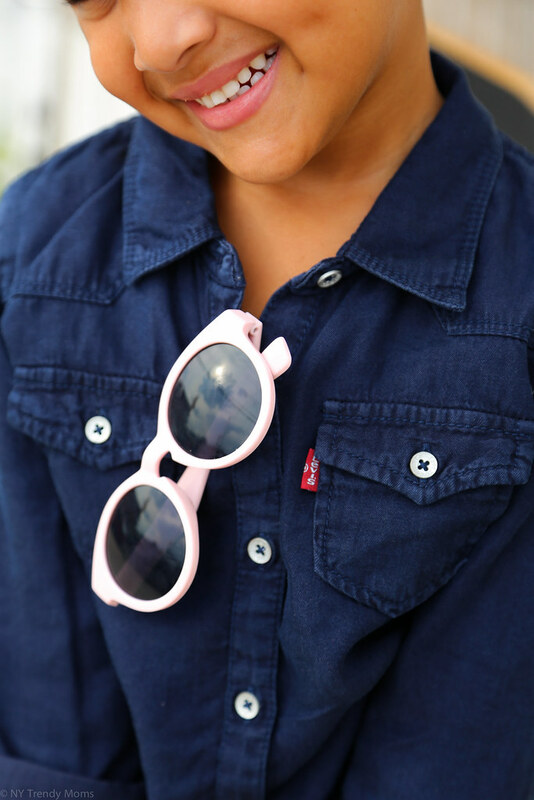 Moms absolutely love Levi's Kids Clothing for obvious reasons. 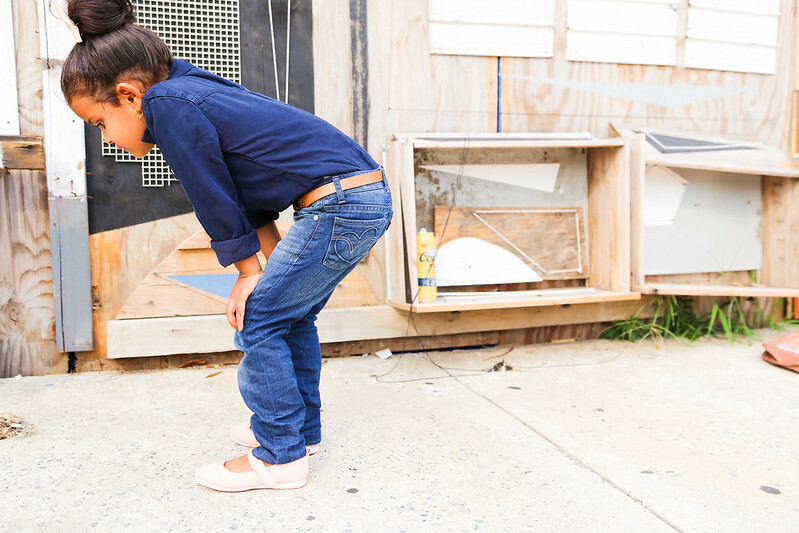 All their stuff is made with durable denim that doesn't wash out and it's extremely comfortable. 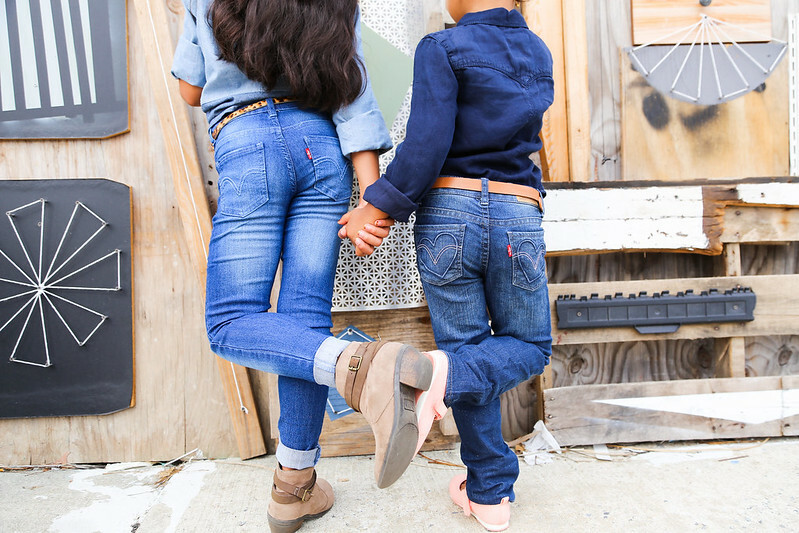 I'm a die-hard fan of Levi's and when the time came for me to purchase denim for my girls, the choice was quite easy. 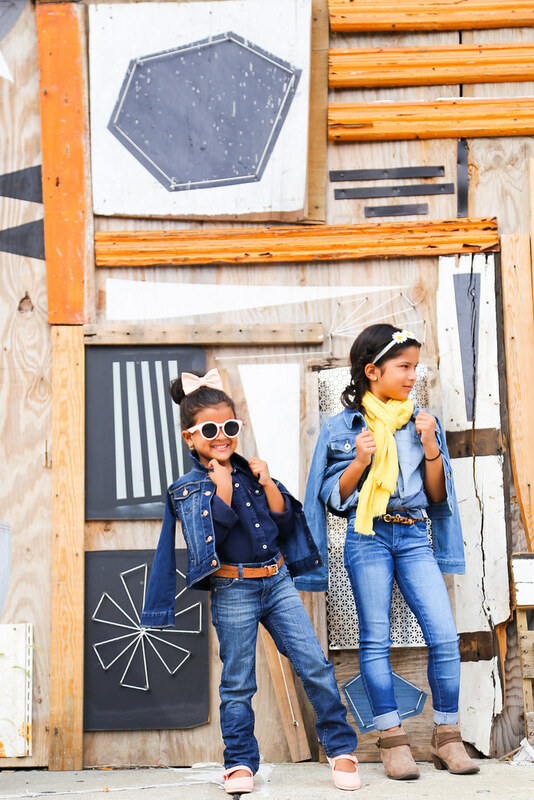 My girls have totally different styles and I love how they can both wear Levi's Kids while still expressing themselves in their own way. 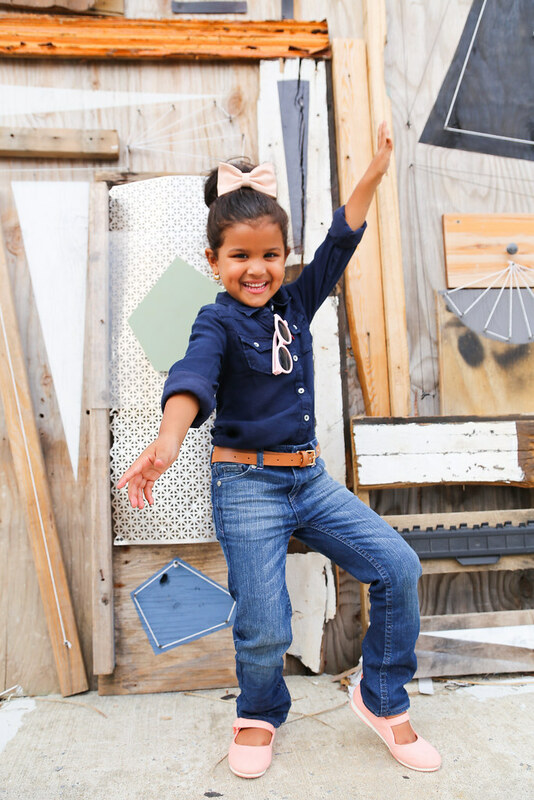 Leanne is a girly girl (as you can probably tell) who loves bows, hearts and anything pink. Zareena is the total opposite. They're both bold with their choices and aren't afraid to show it which makes me a very happy momma. 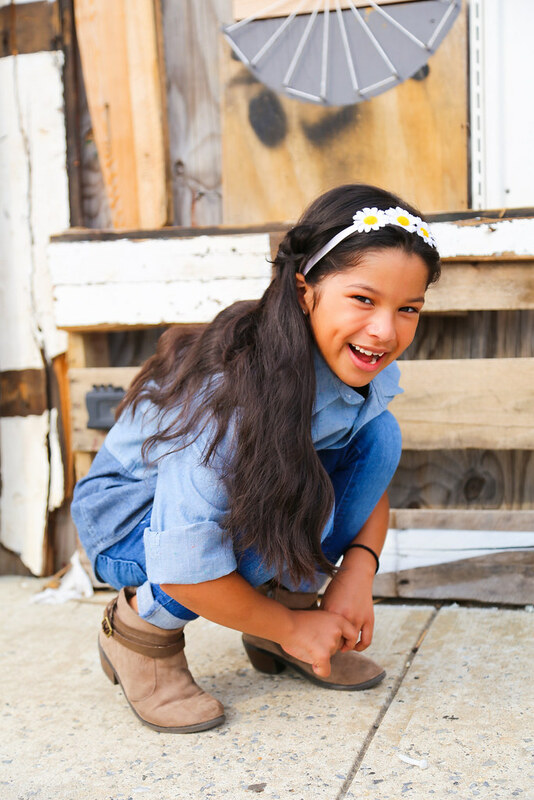 There's nothing better than watching your kids express themselves and that includes dressing their own way. 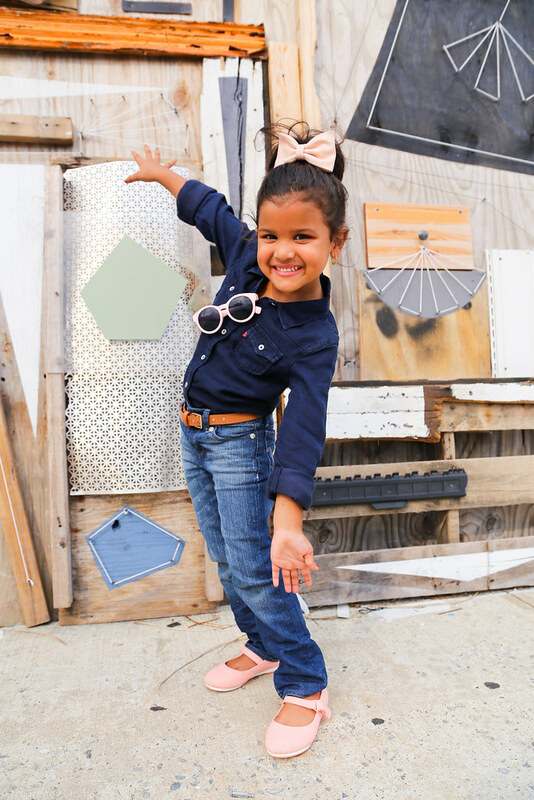 Now that Leanne is going to school for the first time, she will be expressing herself even more. 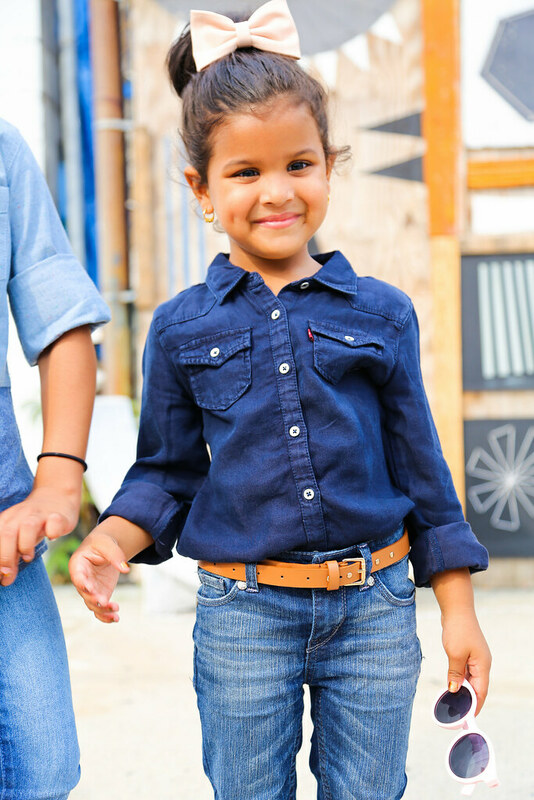 Which brings me to my next point, jeans for back-to-school is a no-brainer. 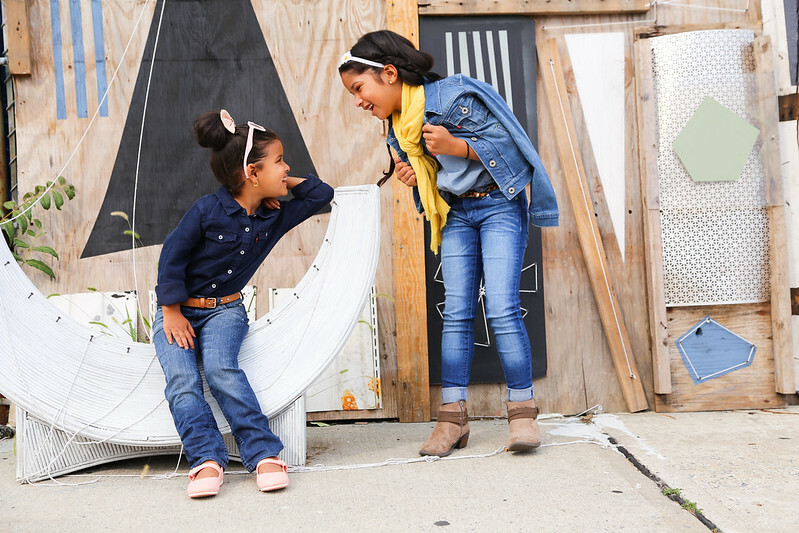 The best versatile pieces to have are denim pieces because they're perfect all year round. 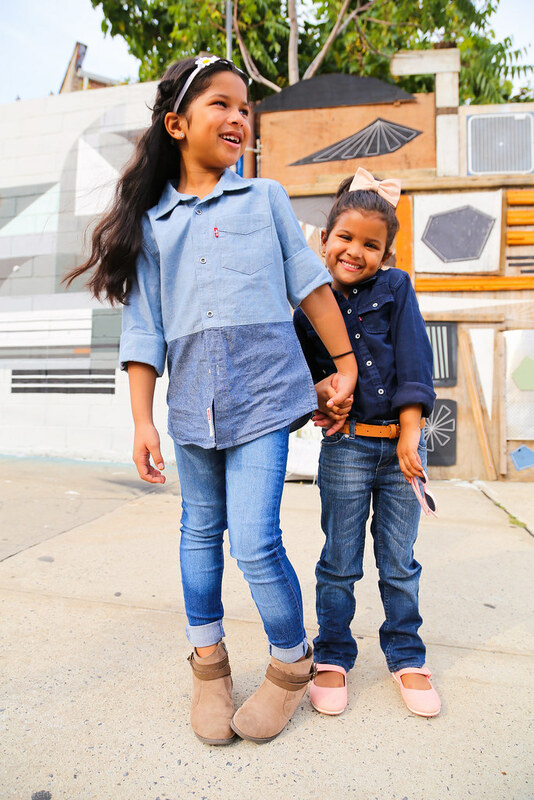 My girls love how they can style a pair of jeans and a denim top with flip flops, boots or sneakers. 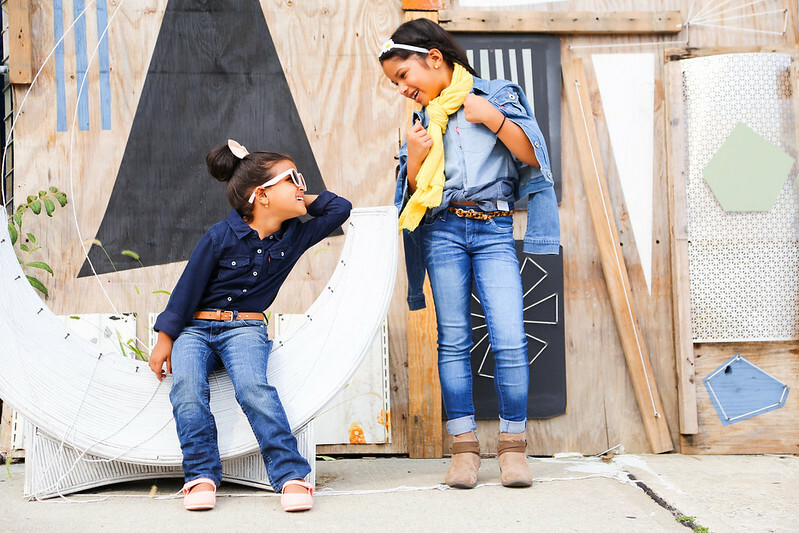 You simply can't go wrong with denim. I remember when I was growing up, Levi's was the only brand my mom bought for my brother and myself. I remember only wearing them during the cold days because they were thick and very warm. At the time, I didn't know that this meant the jeans were made with quality. I felt really silly when I found out that was the case and yet not much has changed since those old days other than the variety of styles they have now. They truly cater to everyone. I want my kids to know quality when they see it. That is why I'm constantly buying them different brands and different styles. I know what they like by how many times they wore the pieces in a week. 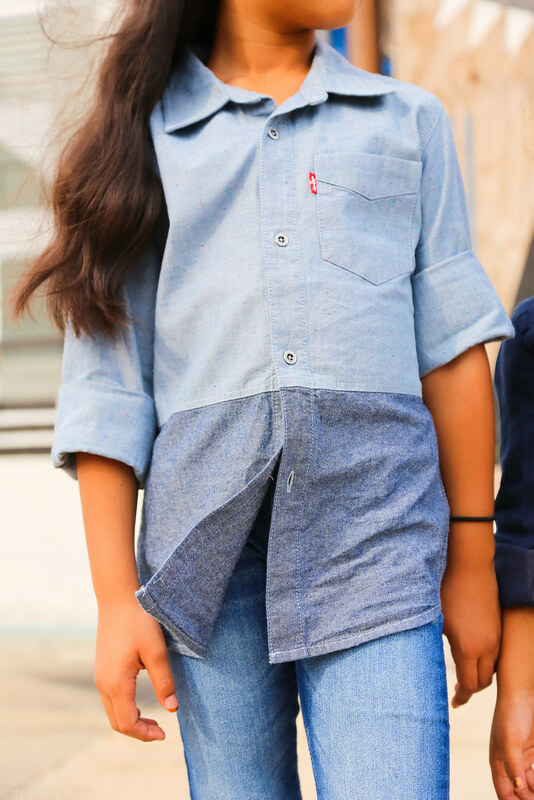 Levi's Kids has always been their first choice when we're on-the-go. 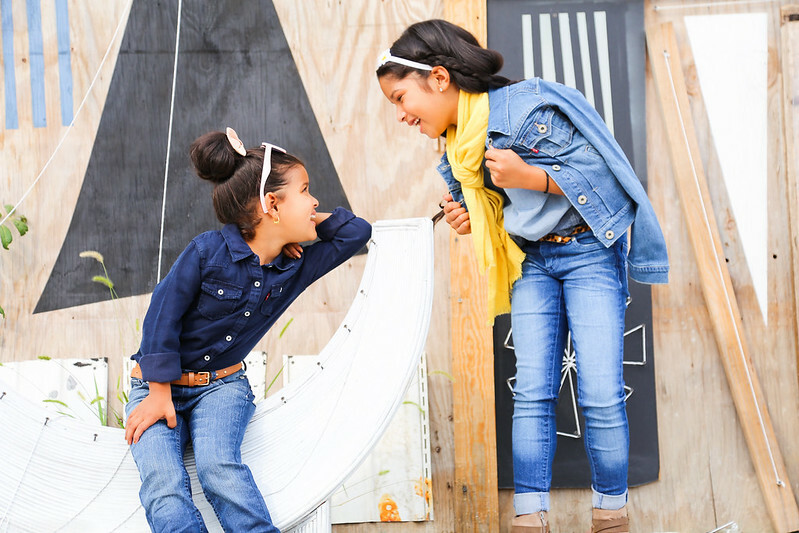 As parents we should pay a little more attention to what our kids like and what they prefer wearing. This makes a huge difference in the way they feel through the day. I prefer a happy and comfortable child rather than a grumpy uncomfortable one. I'm sure you do too.